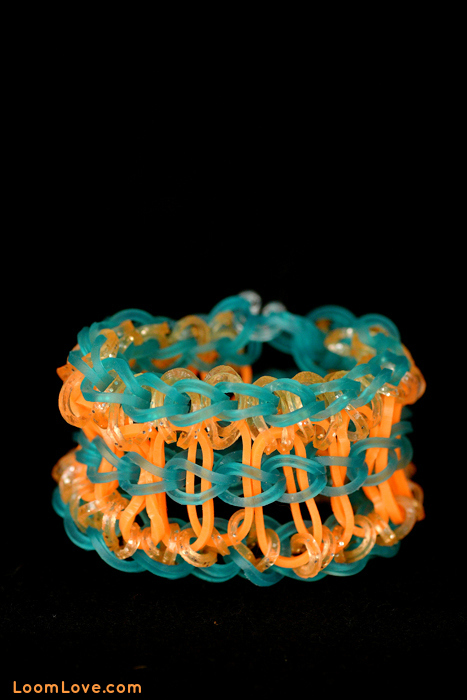 The Carnival bracelet is one of our most striking designs. 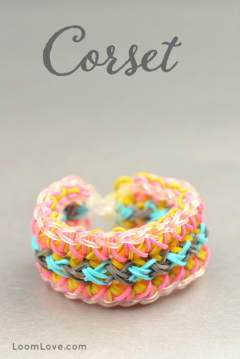 We love the look of it! 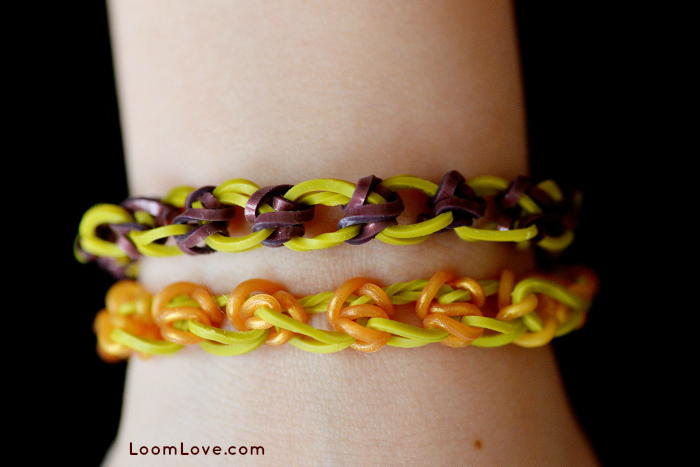 The two bracelets above were made using two looms. 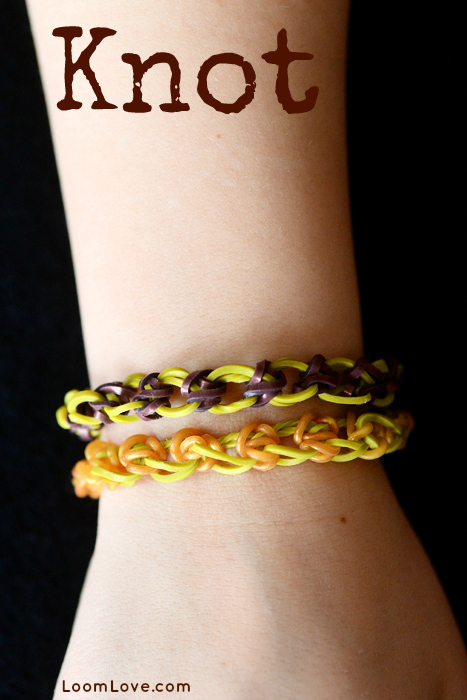 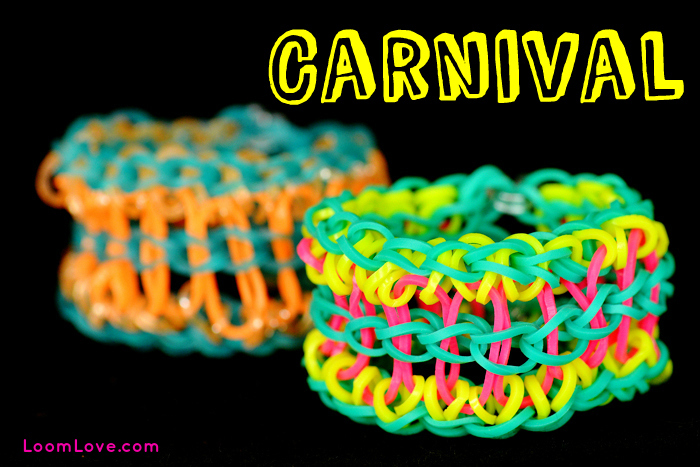 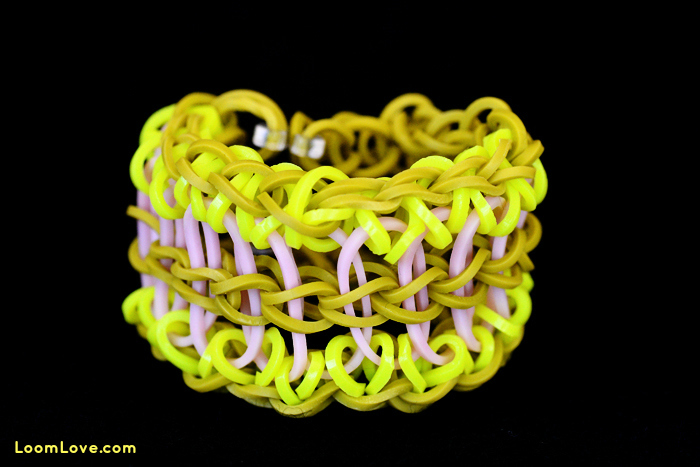 The yellow Carnival Bracelet below was made on one loom. 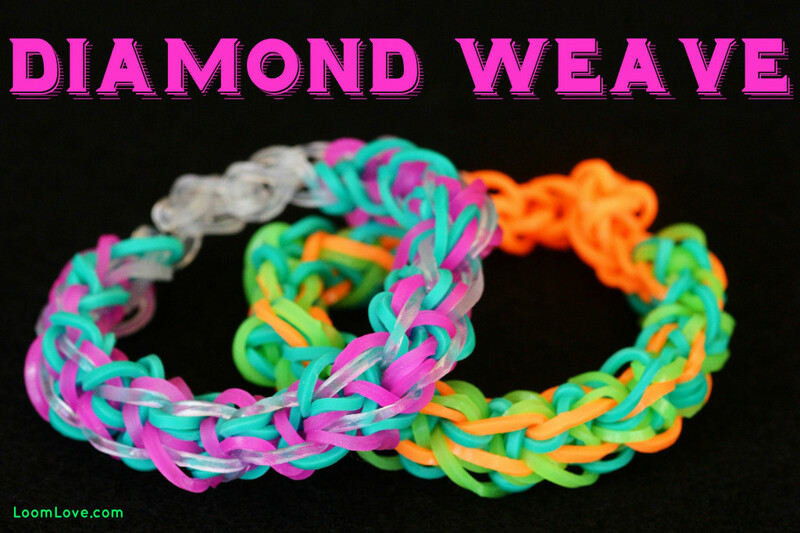 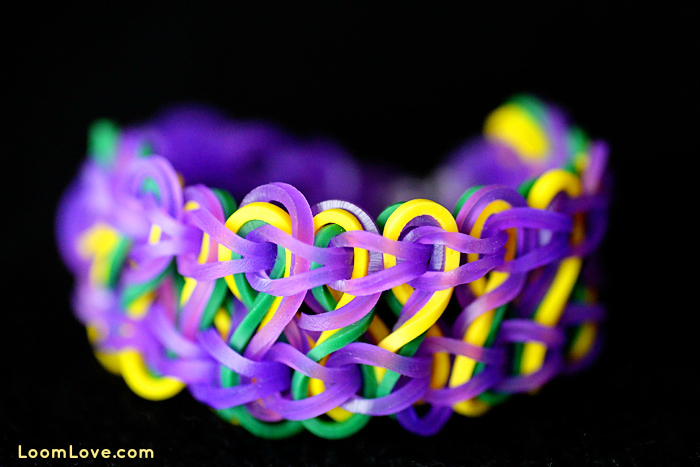 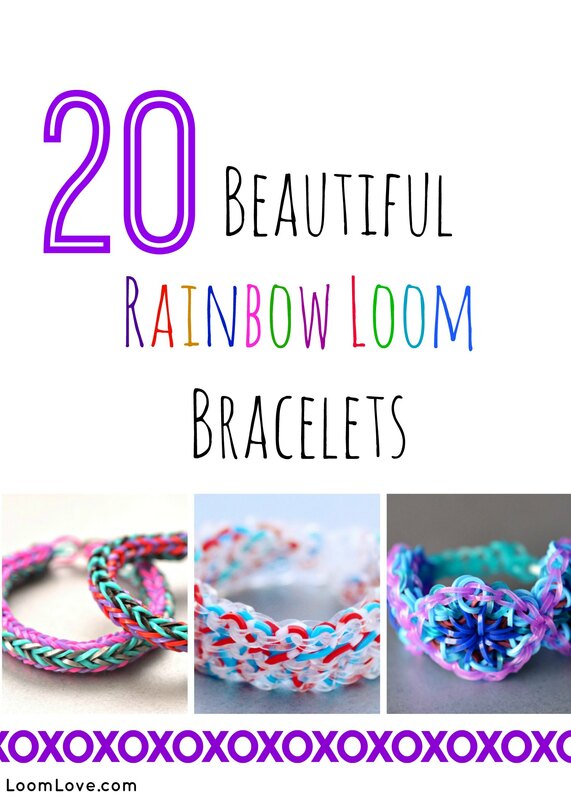 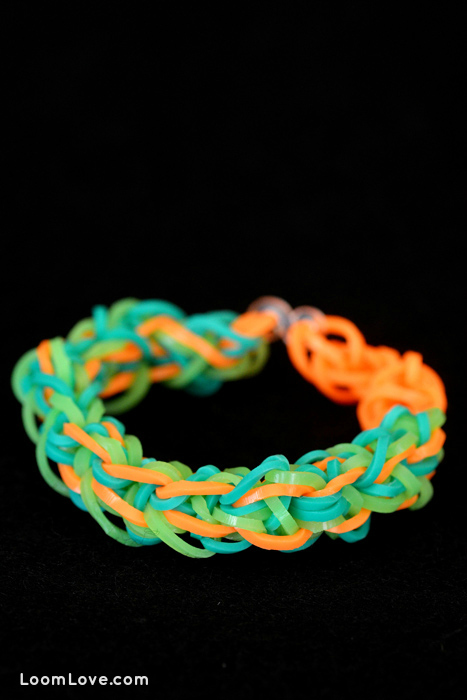 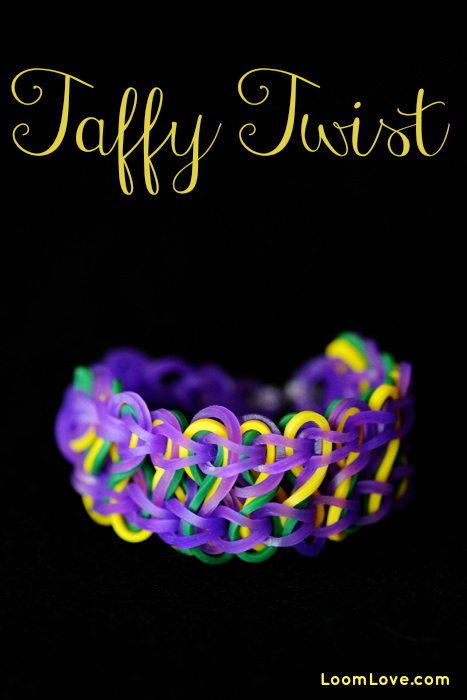 If you’ve made the Diamond Rainbow Loom Bracelet, you will find this Rainbow loom pattern a breeze. 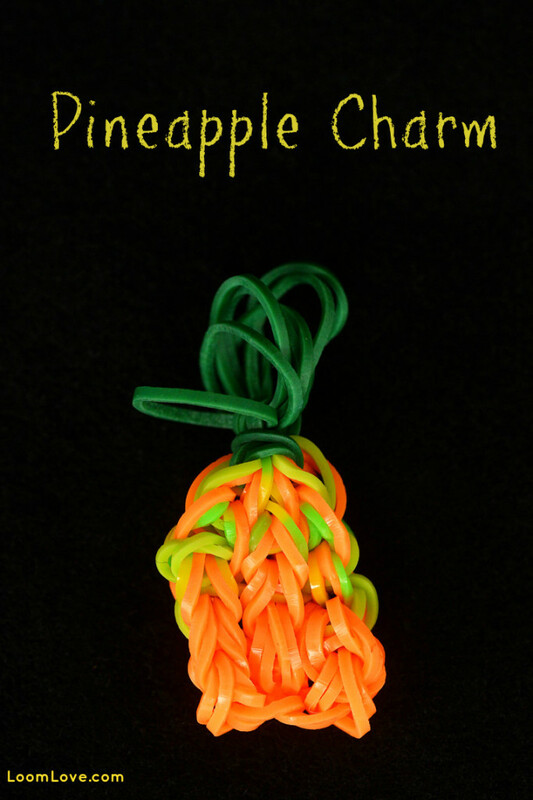 Isn’t this Pineapple Charm adorable? 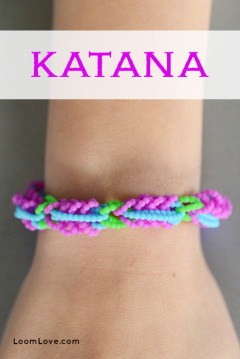 With a name like that, who could resist making this fantastic little bracelet? 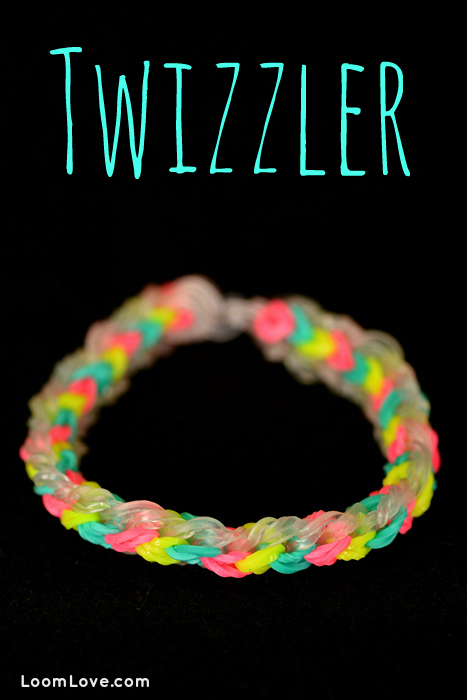 We’re loving this new design by TutorialsByA. 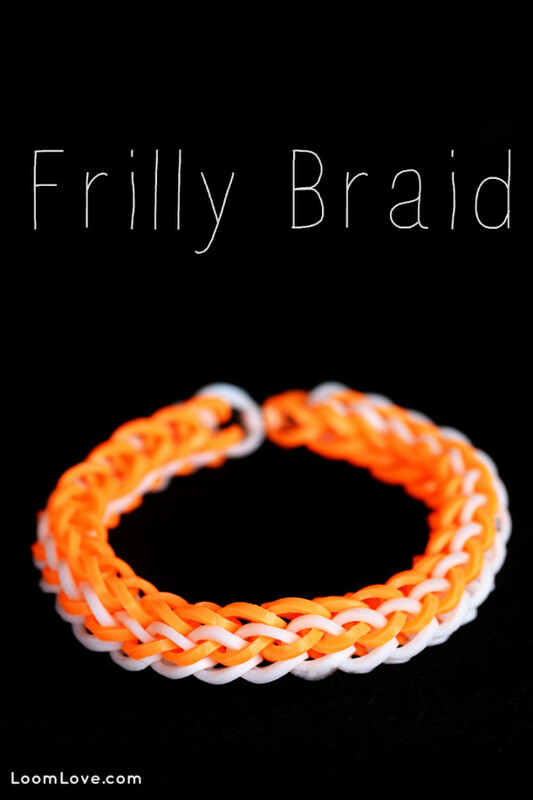 It’s called the Frilly Braid. 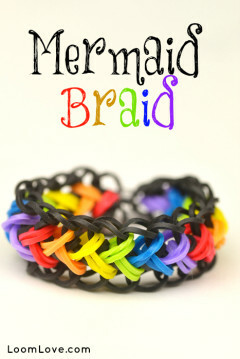 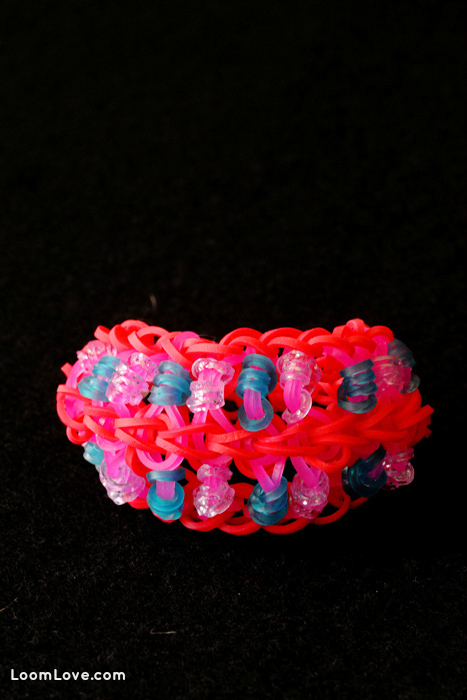 This bracelet design reminds us of licorice Twizzlers! 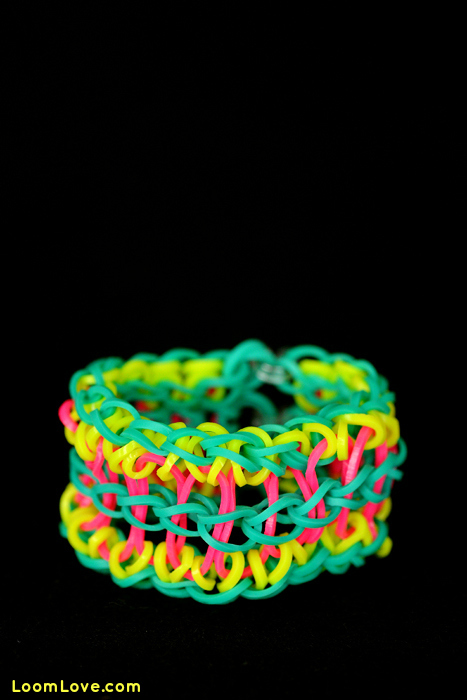 We love the look of this bracelet with clear and neon bands, but it also looks great in other colors. 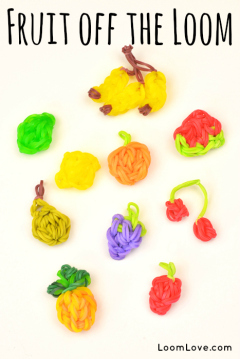 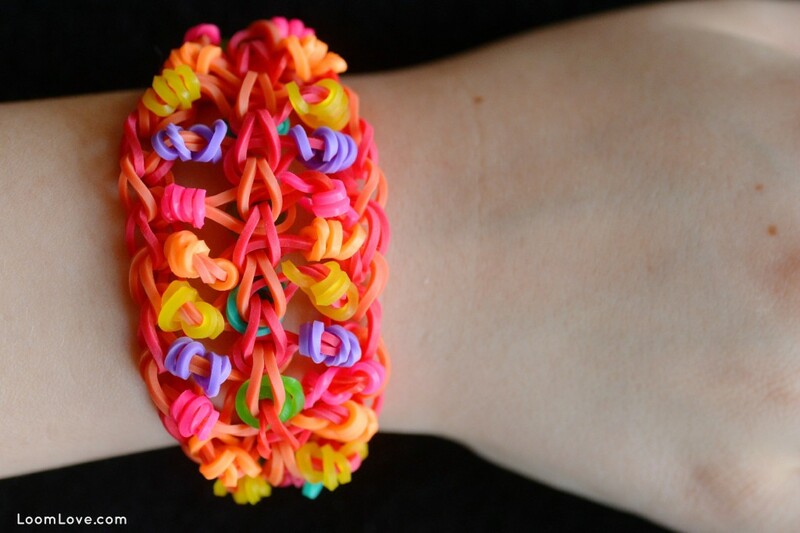 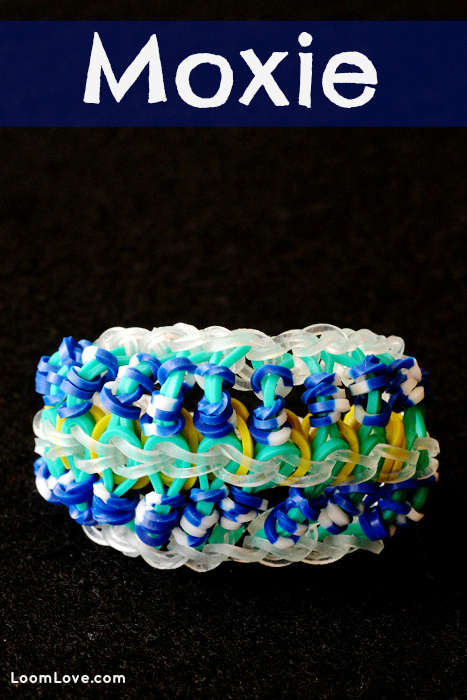 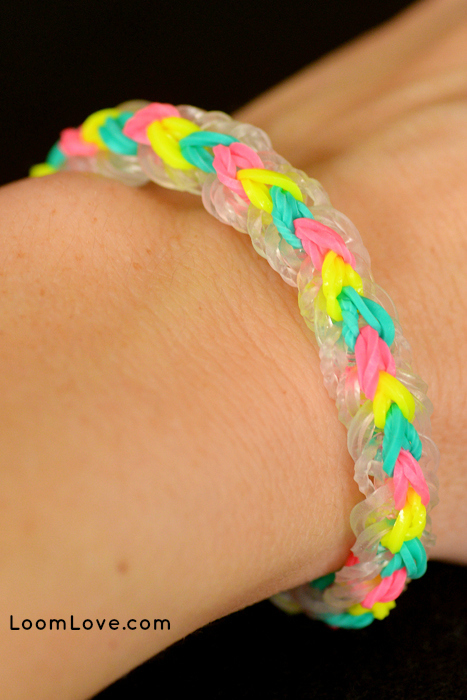 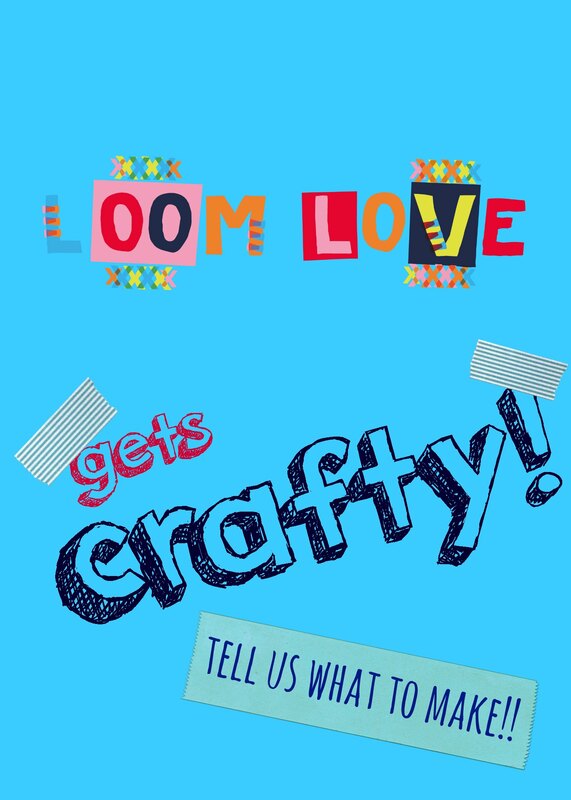 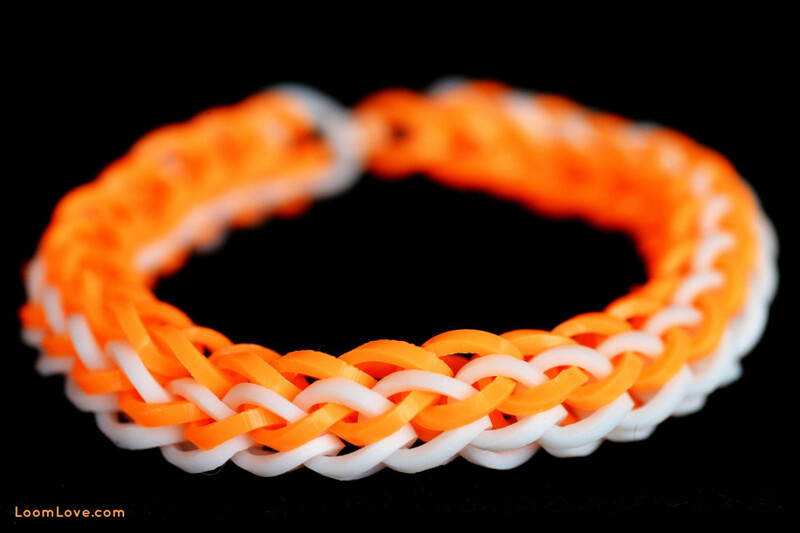 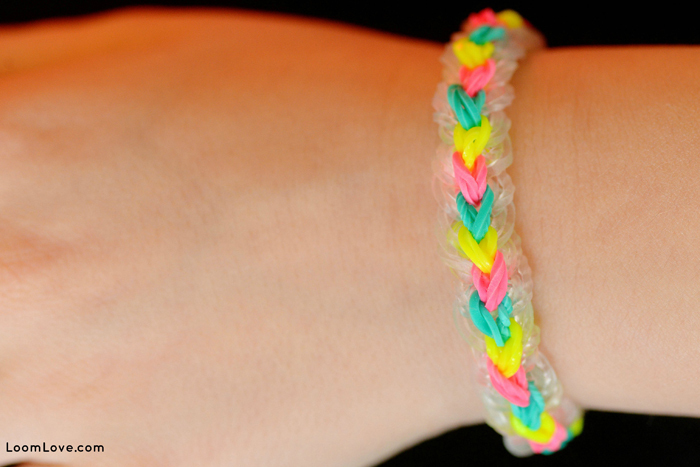 Introducing the Moxie – the one and only Rainbow Loom bracelet invented by our mom! 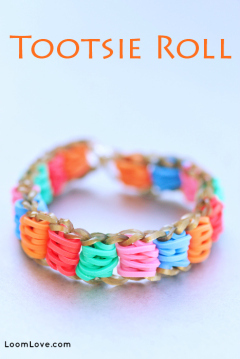 It’s a whimsical bracelet that looks great in a variety of colors. 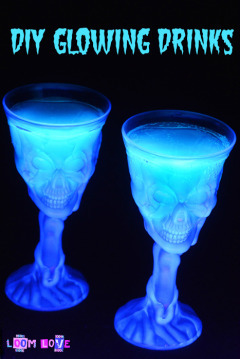 Ahoy Matey!! 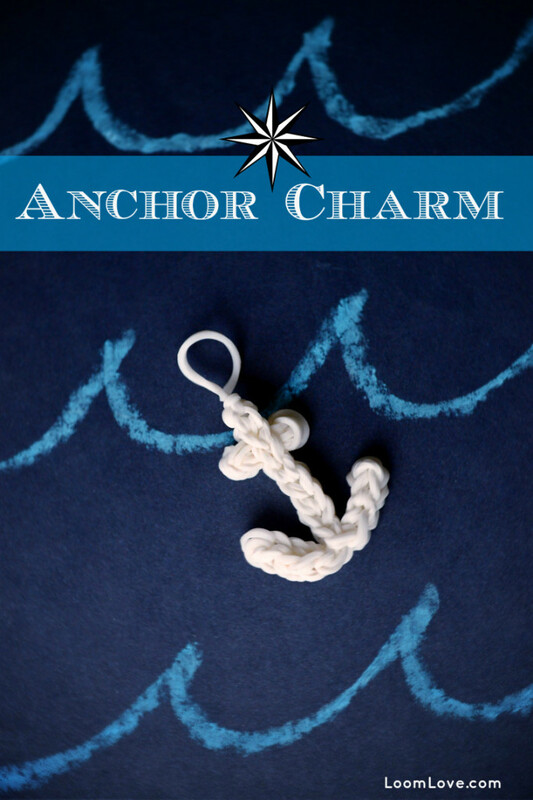 Time to get Nautical with this Rainbow Loom Anchor Charm. 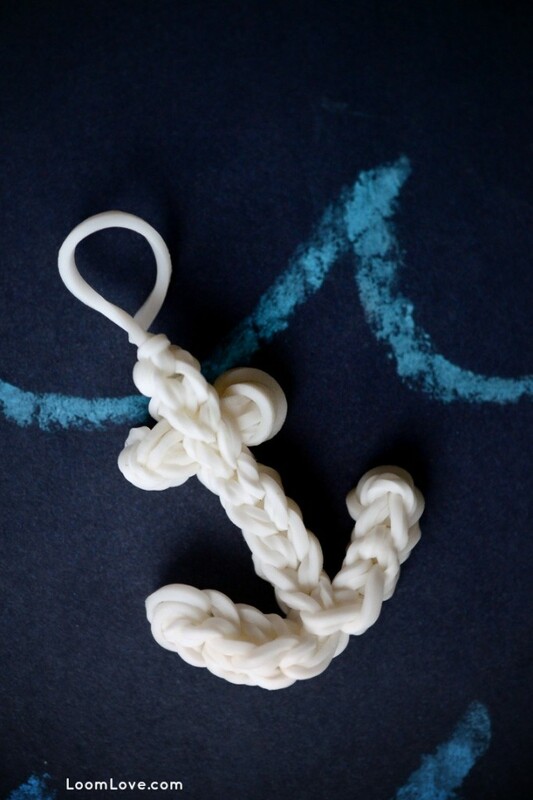 This would be perfect for the sailor in your family! 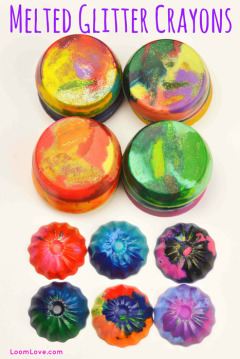 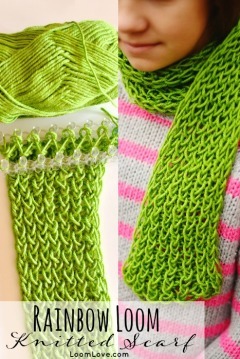 We love it when we discover a new pattern that’s easy enough for beginners! 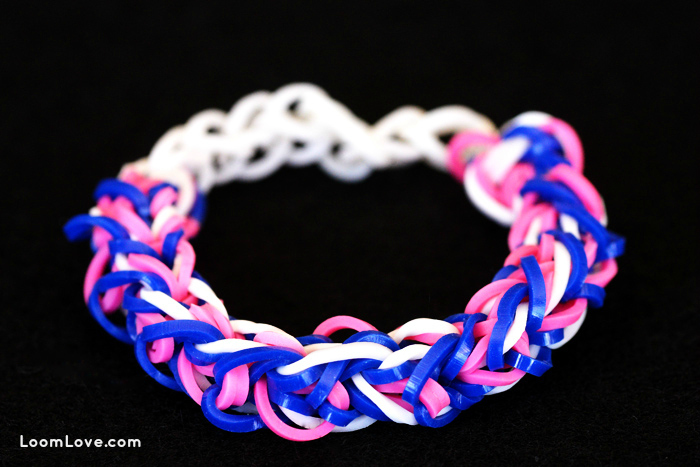 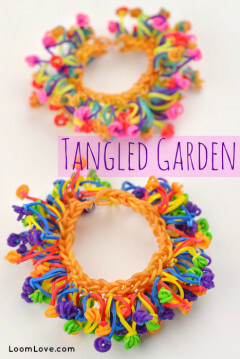 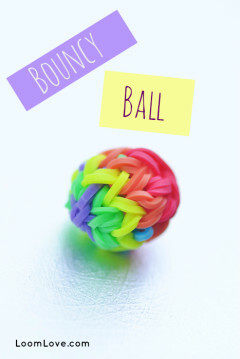 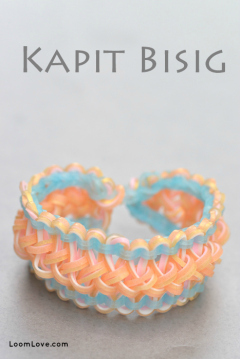 The Knot bracelet is simple to make and we love how it looks!